Echo Incorporated has been in business for more than 40 years now. Originally an importer of high-performance 2-cycle engines and hand-held products manufactured by Kioritz Corporation of Japan, Echo started manufacturing and engineering hand-held outdoor power tools since 1979. 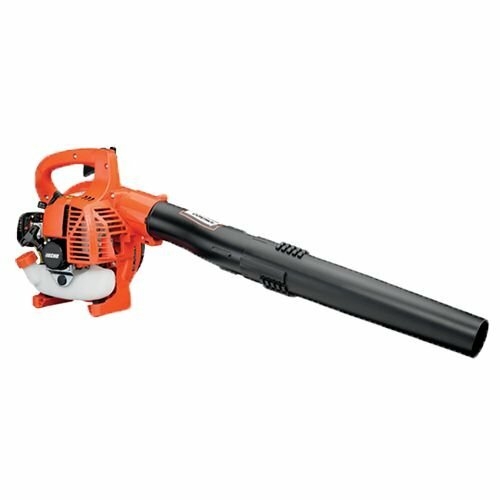 It has grown ever since and has been one of the leading developers of the two stroke engine technology which boasts of combining the environmental requirements with high quality performance and the Echo PB-250 hand-held leaf blower is no exception to its range of leading innovative products. The Echo PB-250 is a professional grade lightweight compact hand-held gas powered leaf blower with a low noise. The Echo PB-250 has a see through fuel tank with a fuel capacity of 16.9oz. The fuel tank capacity is of standard capacity and can last for long hours without the need for refueling. The low noise is one of the most important features of the Echo PB250 Leaf Blower. Generally most two stroke engines have a loud noise accompanying their use, that has been overcome by Echo with this low noise leaf blower. The Echo PB-250 emits a maximum noise of 65 decibels to the user ear. Some users have claimed that they did not even require ear plugs while using this leaf blower and this may be a safe variant if you have neighbours in the near vicinity. This leaf blower qualifies for sensitive environments due to its low decibel output. The Controls are grouped in an easy to access control panel so that it becomes easy for the user to operate it. The group controls include throttle with a cruise control switch to control the amount of air flow through the nozzle. This not only allows you to vary the speed according to that required for your project but also takes off the stress from the arms by lowering the vibrations. So now let’s have a look at how this machine really performs in the field. True to its promise it takes off much pressure from the arms of the operator with Echo’s innovative curvature and rotational control technology. This fuss free leaf blower is environment friendly in that it creates minimum noise in spite of having a powerful two stroke engine. The power that this machine generates gets your job done in a jiffy. You can not only move dry leaves but wet leaves, sprigs and debris can be worked up with equal ease. The only drawback that this hand-held leaf blower has is that it has been reported by many to create starting problems and may require quite a number of tries before it actually starts, though Echo boasts of an easy start system. The Echo PB250 comes with a 2 year commercial warranty and a 5 year consumer warranty i.e the manufacturer provides a two year warranty if the product is used for commercial purposes and a five year warranty if it is used by homeowners for household use. The low noise emission factor is a good enough reason for you to go and get a grasp on this powerful yet lightweight gas powered hand-held leaf blower from Echo. Also the ease with which it can be maneuvered and the power boost just add on to the steps that would take you closer to getting a hold on one. Overall we can rightly say that this is a great leaf blower to invest in.